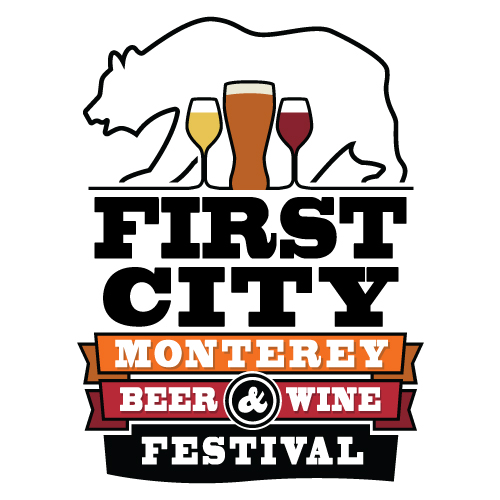 The inaugural First City Beer & Wine Festival brings together the wineries of Monterey Wine Country with breweries from the Central Coast to raise funds for Monterey County Gives! FIRST CITY MONTEREY BEER & WINE FESTIVAL OFFERS ATTENDEES TASTES OF HUNDREDS OF CENTRAL COAST BREWS AND MONTEREY WINES! In addition to curated beers and wines, the event features live music, lawn games, mini-workshops as well as the most popular food trucks in the Monterey and San Fransico Bay areas. Raise the fun level and do good at the same time! Net proceeds from this event go to the Monterey County Gives, a partnership of Monterey County Weekly and The Community Foundation for Monterey County. Raising almost $4.9 million in 2017, the program provided needed support to over 150 local non-profits. Thank you to our Sponsors and Event Partners! ID Requirements/Age Limit: Must be 21 years of age with valid identification to enter the event (the law says no children, even babies, are permitted). Pets: Due to health & safety laws pets are NOT permissible. Service dogs are always welcomed. Emotional support, where the dog’s mere presence provides comfort, is not considered a service animal under the ADA. Ticket Transfers/Refunds: All tickets sales are final. Tickets are transferable. You may purchase for others and give them away should you be unable to attend. Tickets are NONREFUNDABLE. Entrance Guidelines: Printed or digital copies of your ticket will be required for entry scan. There will be no exit and re-entry permitted. Transportation: Please make plans for safe transportation! Local Taxi services, UBER, and LYFT are all good options to get you to and from the event safely. WANT TO VOLUNTEER? Great events don't happen without great volunteers. If you're interested in learning more and signing up, click here. © 2019 Monterey Bay Tickets. All rights reserved.